Redditor Conor_goggles writes: "My little cousin's turtle died. 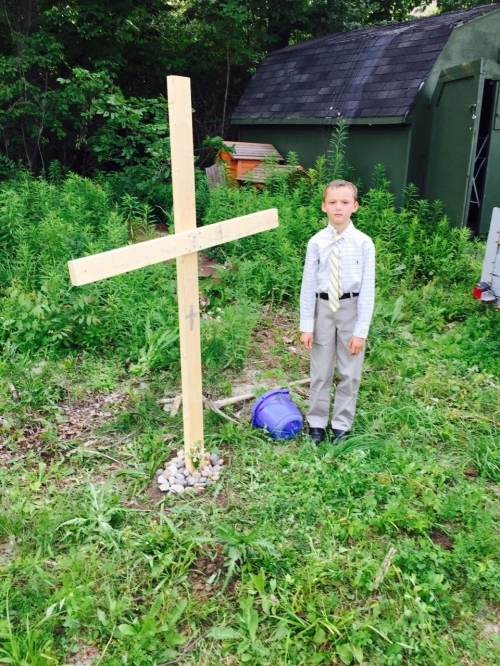 He made the grave, built the cross, and got dressed without any parental supervision. My uncle caught this towards the end of the ceremony. ".